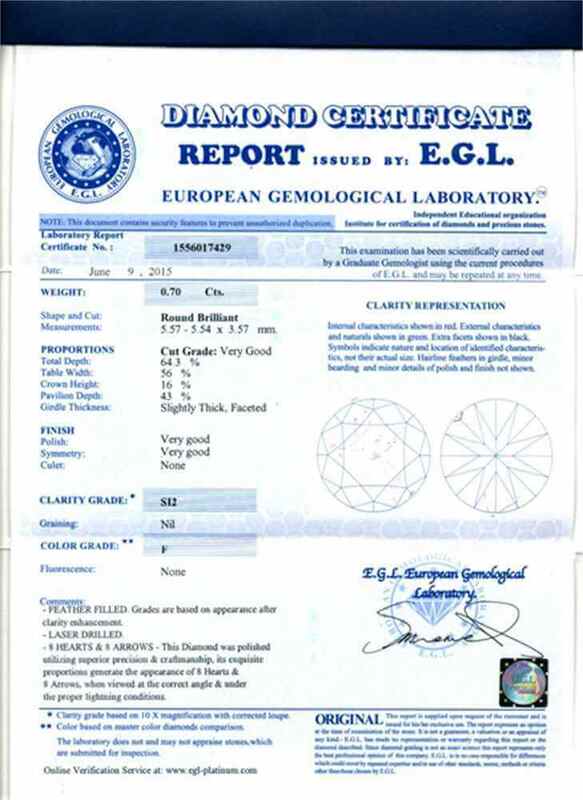 Many diamonds mined from the core of the earth undergo some sort of treatment in the laboratories before they are rolled out in the market, but those that are labeled “clarity enhanced” are especially treated to look clearer. Ahead in this article, I’ll talk about this treatment in particular. 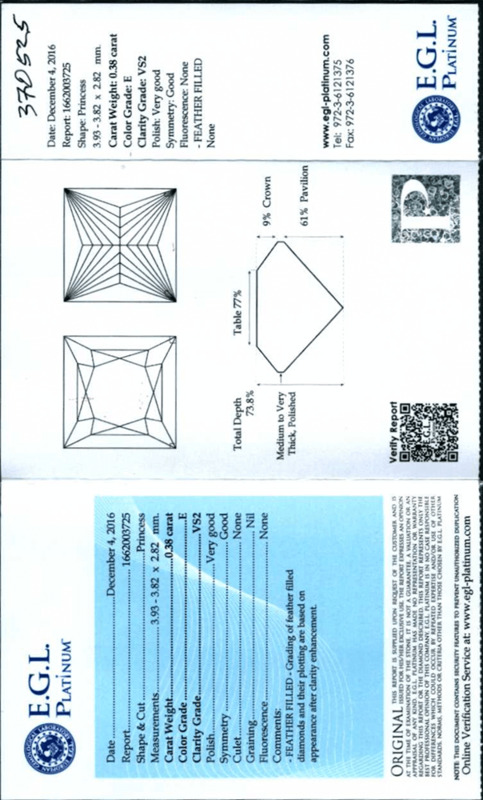 Clarity Enhanced Diamonds- What Are They? 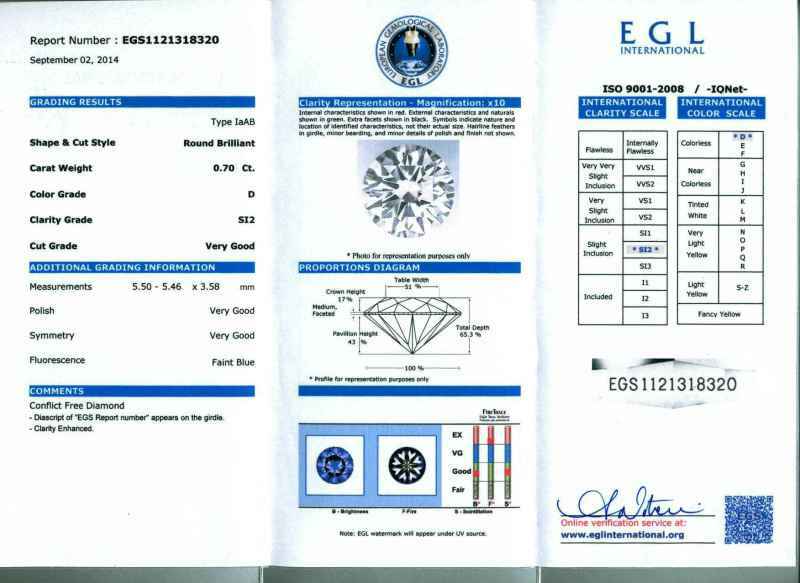 Enhanced diamonds are like any other natural diamonds that have been made to undergo a treatment that has reduced the visibility of their imperfections. 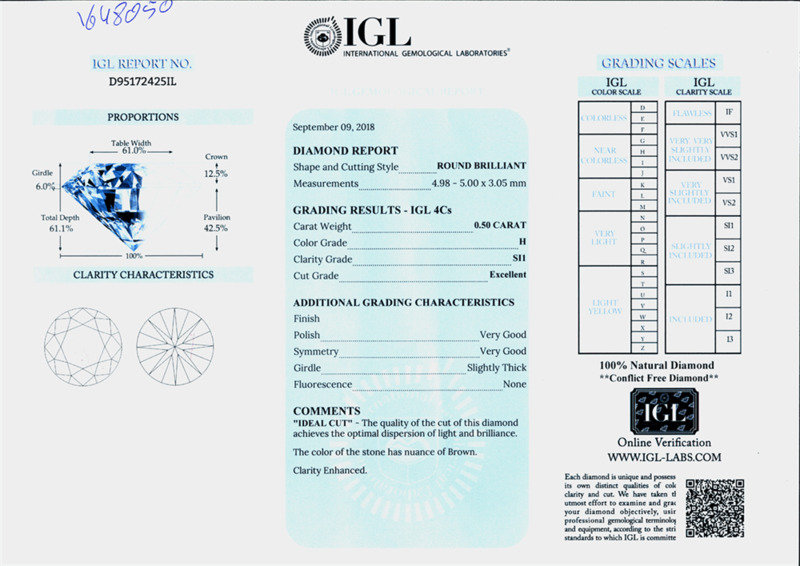 All diamonds, except the flawless kind has some inclusions and blemishes in them, some more visible than the other. Clarity of a diamond is graded by the presence of these flaws. 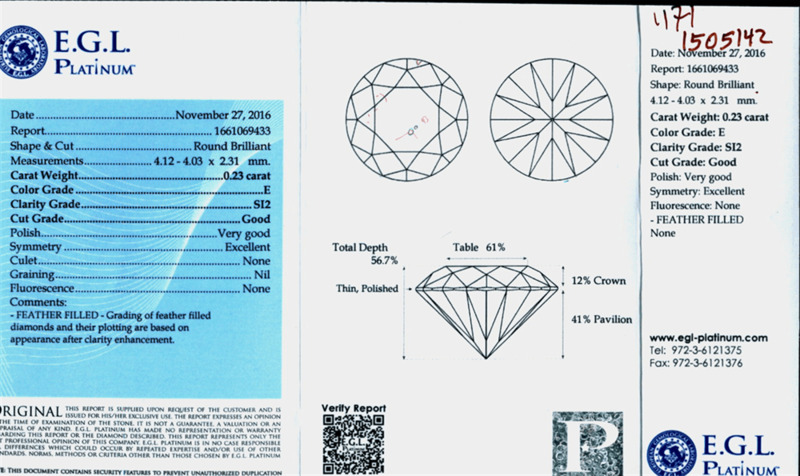 Clarity enhanced diamonds are not necessarily eye-clean, or in other words, they have any of the clarity imperfections that are in the clarity scale, from VVS to I1, I2, rest assured they were born worse. 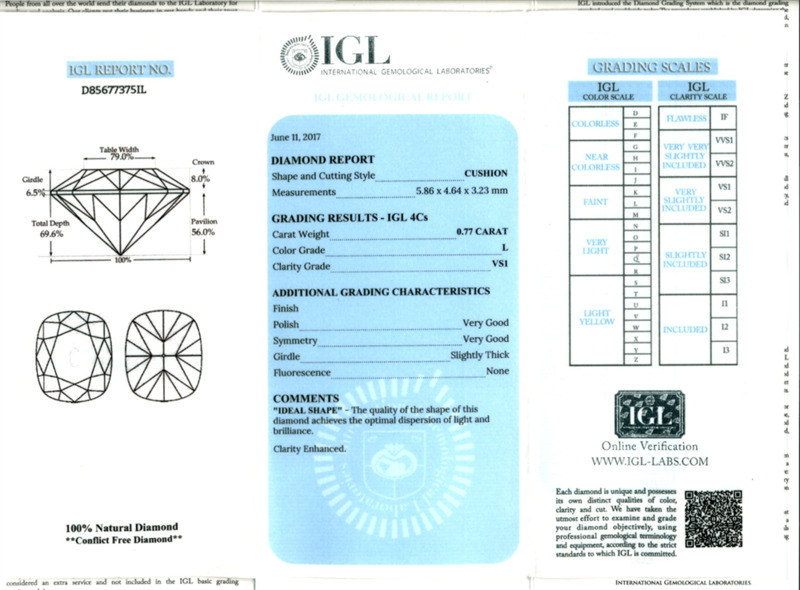 Diamonds from SI2 and down are normally picked for clarity enhancement. This is because stones in this category carry maximum inclusions, some of which is even eye visible. Now inclusion is not a quality that is appreciated in diamonds. Even people who pick diamonds from these categories do not want their stones to show their blemishes. 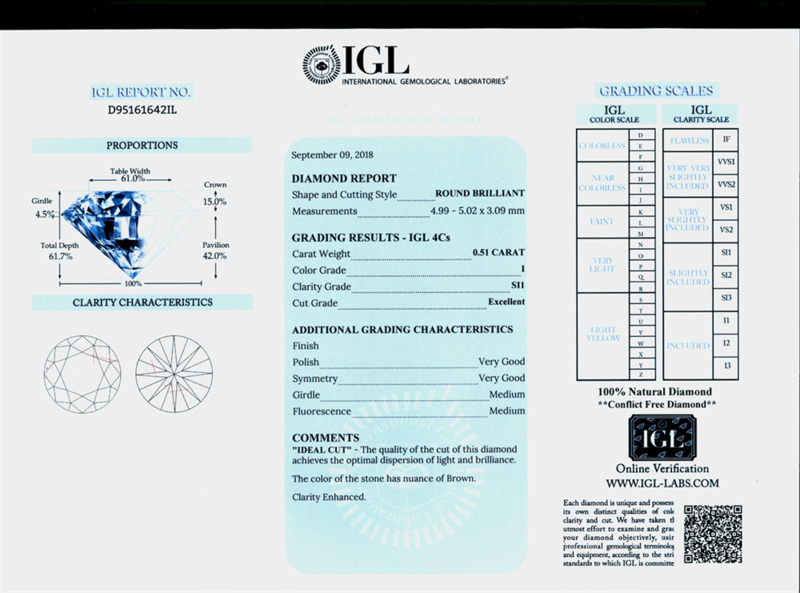 That makes clarity enhancement a necessity to make these stones presentable and desirable. 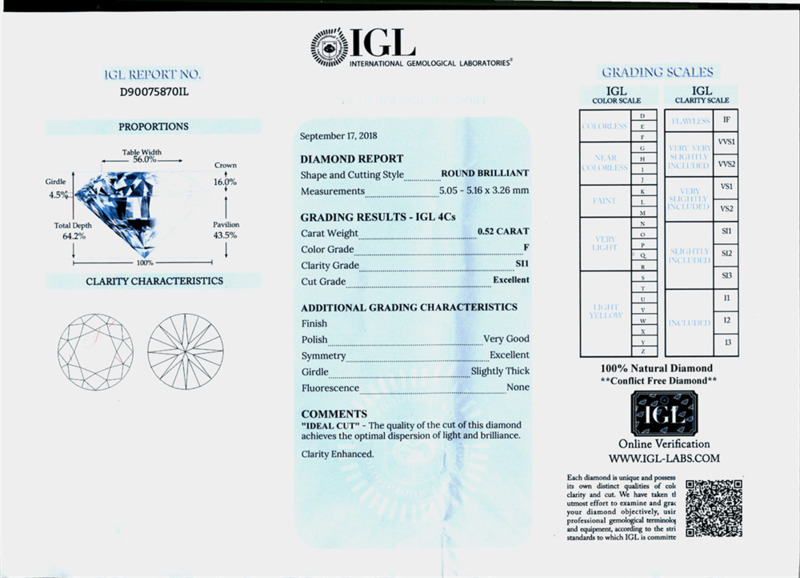 Are There Any Guarantees with Clarity Enhanced Diamonds? At Diamonds-USA. 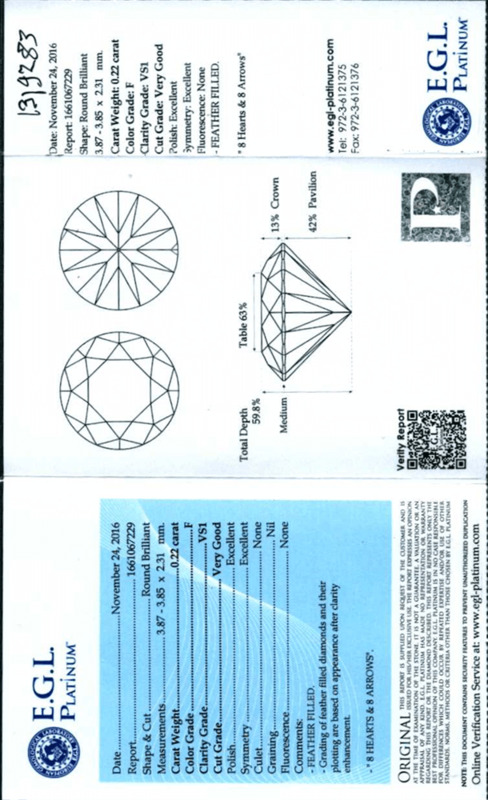 We guarantee that an enhanced diamond bought from us will not turn “un-enhanced” or “unfilled” in your lifetime. However, should anything of this nature happens by customer's mistake (putting open torch fire on the diamond at the jewelers), you can always send the stone back to us without any loss at your end. The clarity enhancement process will last forever. a torch while setting the diamond). will re do the enhancement free of charge. 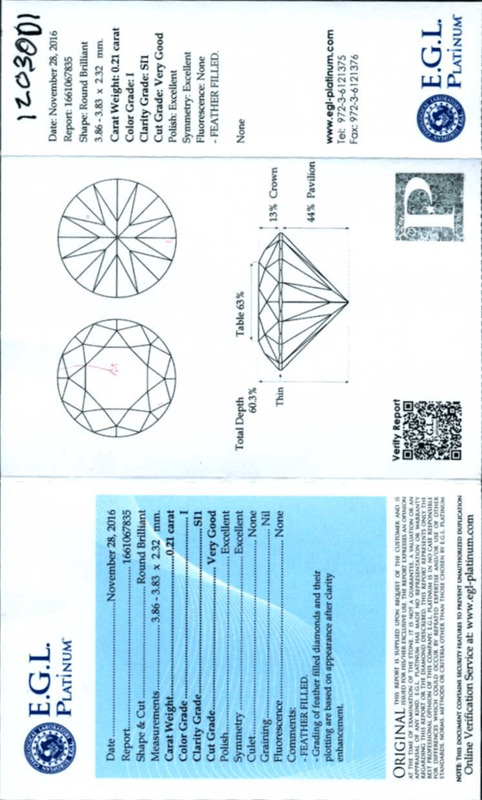 How to Tell an Enhanced Diamond Apart? 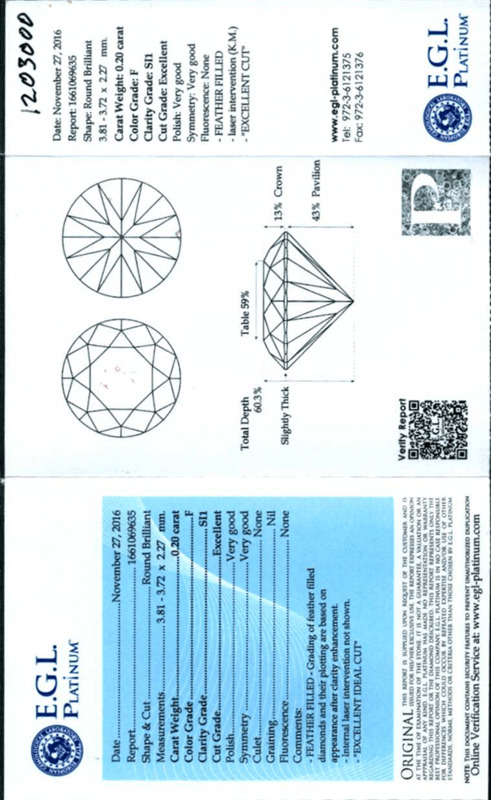 It is very easy to tell enhanced diamonds apart from the untreated. 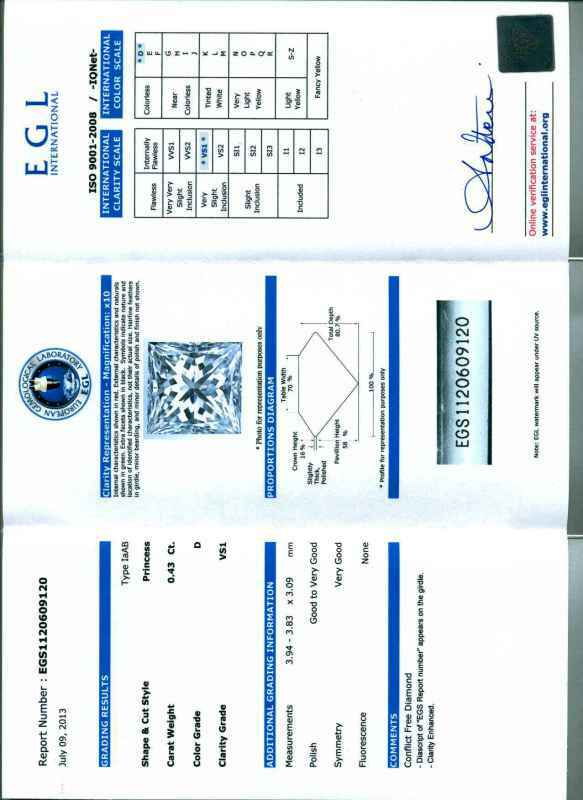 As I have said earlier, clarity enhanced diamonds are eye clear. Under magnification, the flaws show clearly. 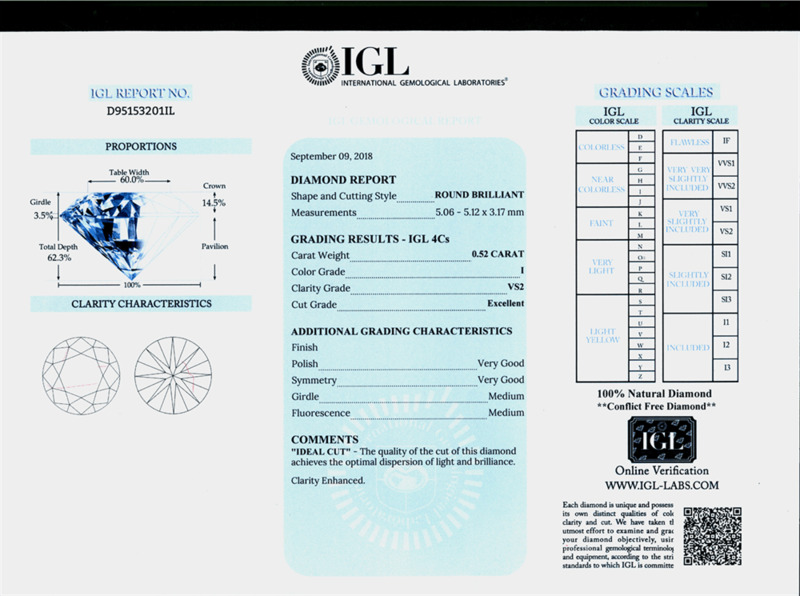 However, one is not expected to go to such lengths as to make inspections to learn if a diamond is clarity enhanced or not. A buyer shouldn’t even be needed to enquire about it. It’s something a seller should disclose to their buyers at the point of sale. 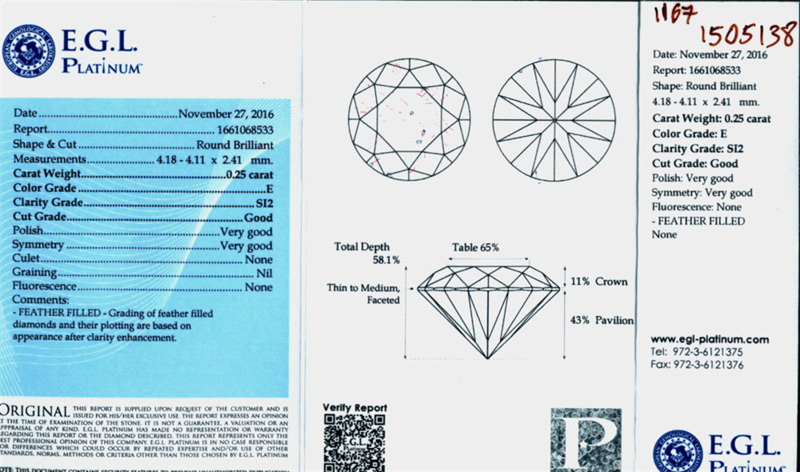 Especially if a seller offers you a seemingly blemish-free diamond for a suspiciously low price, that’s your cue to ask if it’s a clarity enhanced diamond. 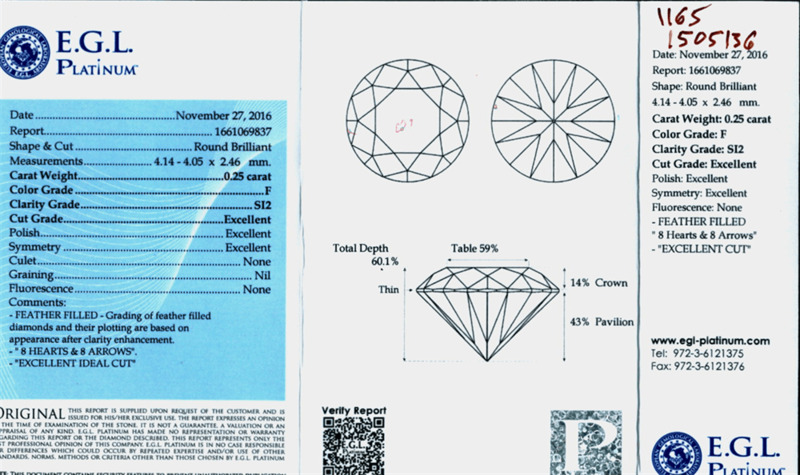 Not that there is anything particularly wrong with a diamond whose clarity is enhanced, but a buyer should know about it before the purchase is made. While it’s his responsibility to inform the buyers fully about the diamond, some sellers are slow to parting with such details. 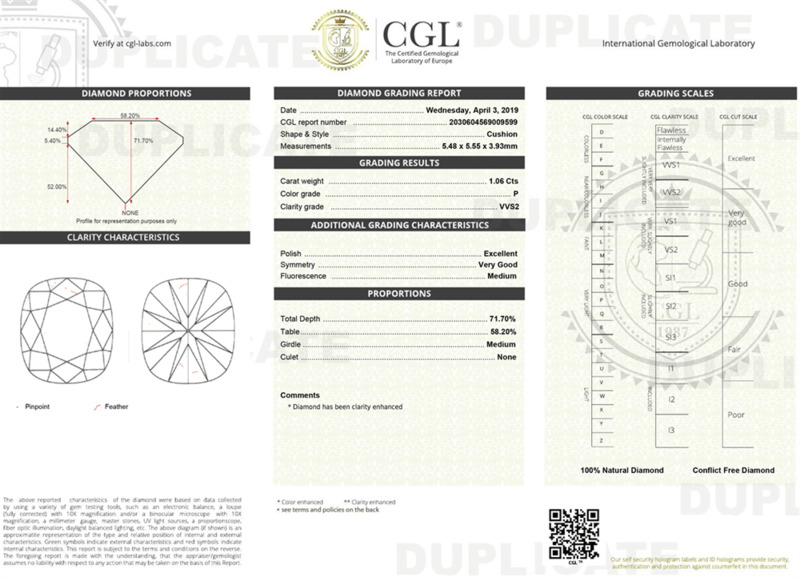 Authentic websites distinctly label all clarity-enhanced diamonds, look at Diamonds-USA loose diamonds search results, on our catalogue they are marked as “CE” as so whereby the buyers have full information of what they are paying for. Do I Want to Put an Enhanced Diamond on an Engagement Ring? That depends a lot on your preference and affordability. There is a section of people who are very happy with these diamonds. The only buyers who are unhappy are those who have unwittingly bought them. 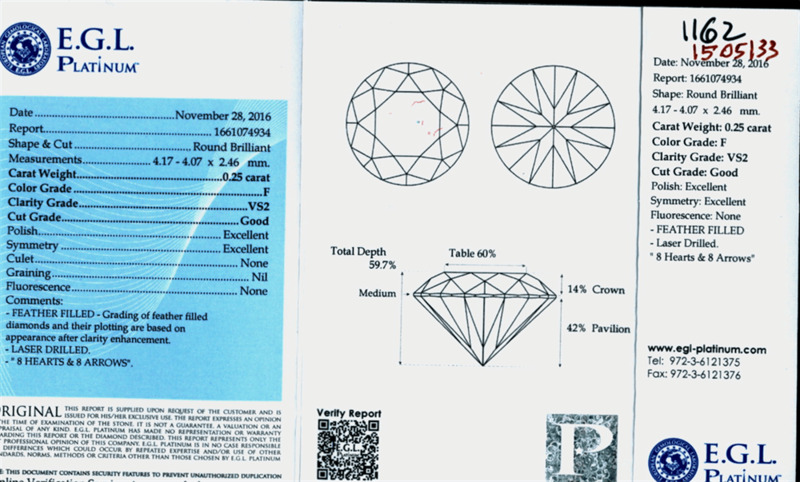 Enhanced diamonds are a smart and affordable choice that has given diamonds of upper grades a run for their money. They look great, as long as the other 3Cs are fairly good, and they appeal easily to budget buyers. 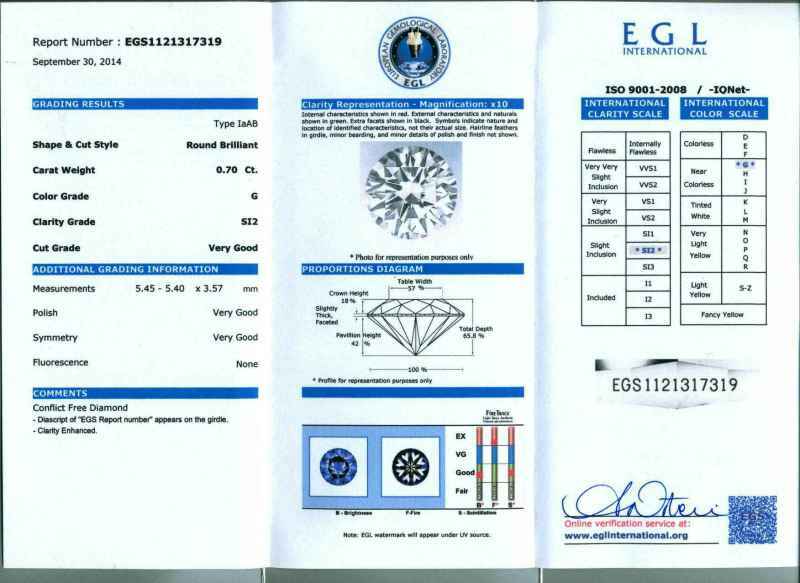 With enhanced ones, people can buy much bigger diamonds for a given budget. This has taken the business away from jewelers who deal in high priced diamonds only. 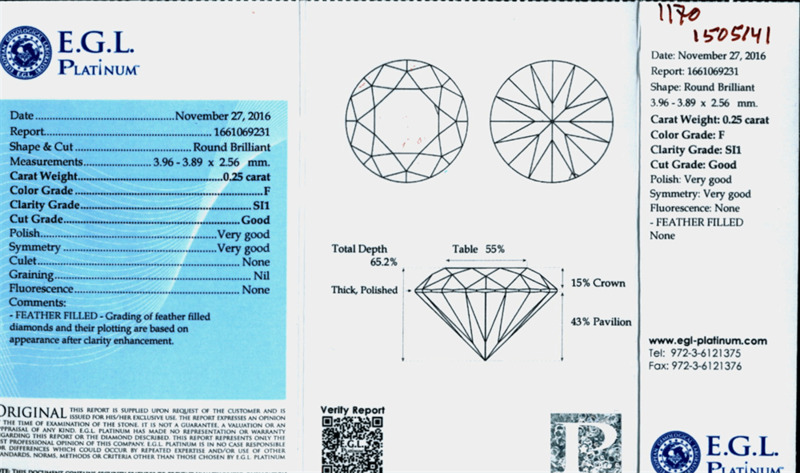 That said, if you are looking to buy the biggest diamond for your buck, then the options in the clarity enhanced section will surprise you. Do Prices Drop because of Clarity Enhancement? 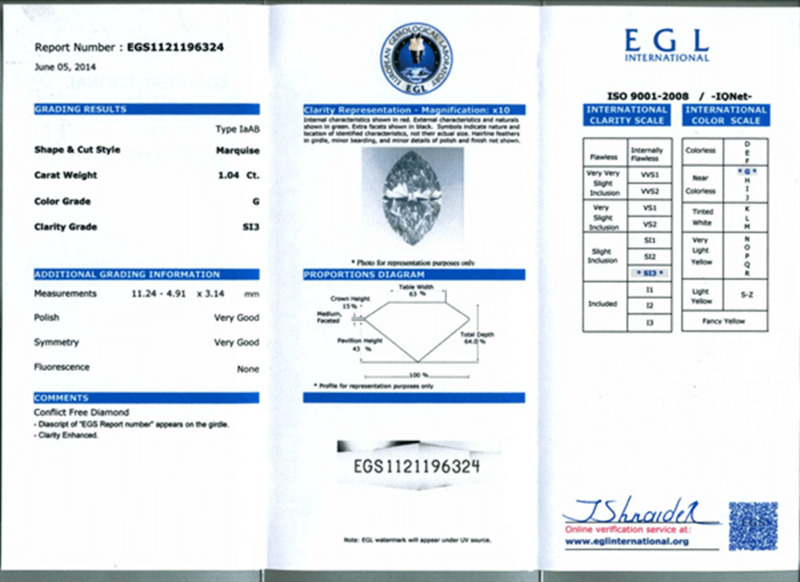 When someone buys clarity enhanced diamonds, he or she is in essence, paying only for the grade the diamond originally was. 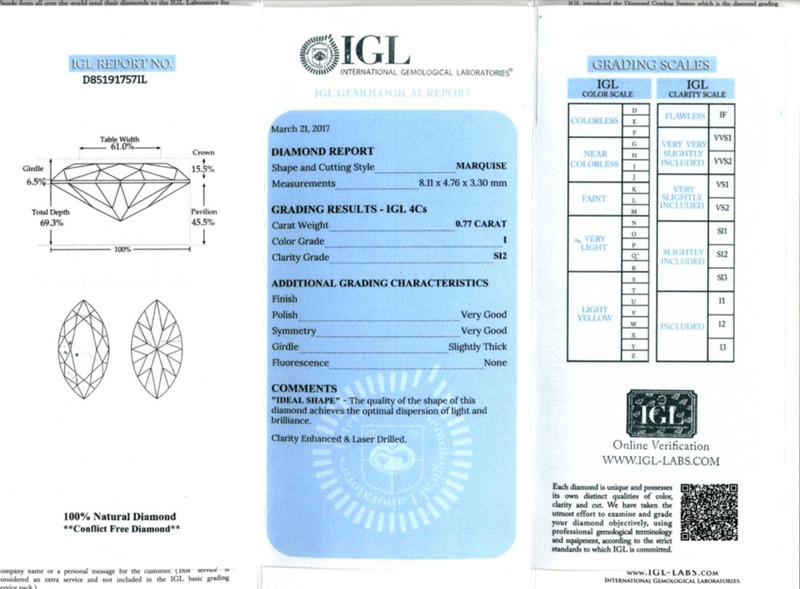 For example, if the diamond in question is I1, and after enhancement it looks like SI1, the buyer would still be paying for I1 quality that the stone originally was. 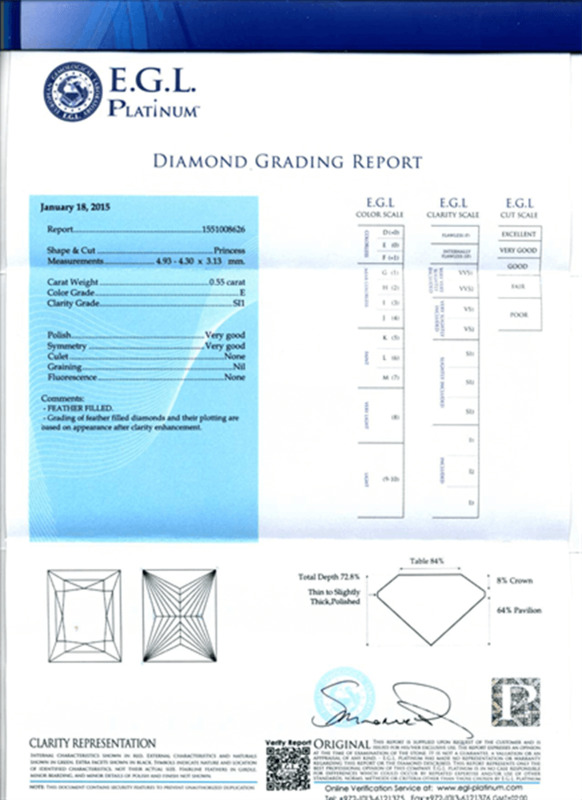 The enhanced diamonds market is strong and steady, we at Diamonds-USA sell them for over 20 years with great success. What Are the Probable Causes of fading of the Clarity Enhancement? There are three reasons for that. Two are not relevant for human’s life style. 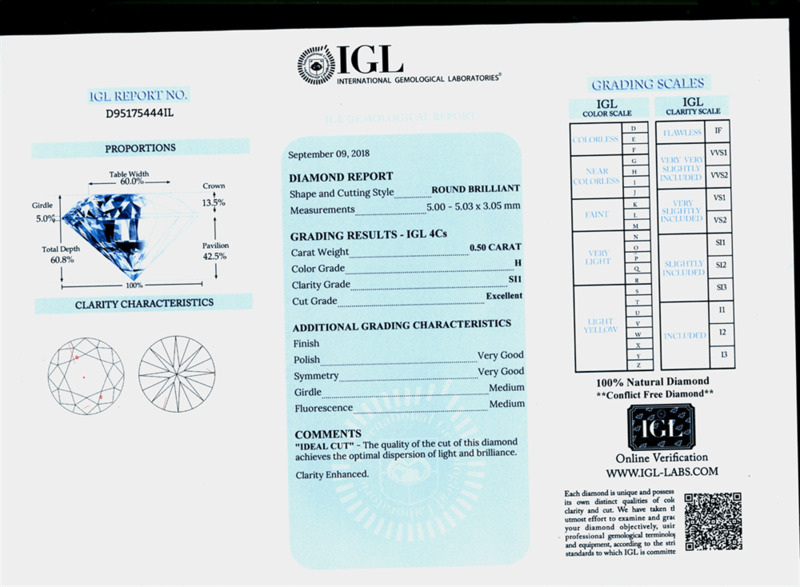 According to GIA research on fracture filled diamonds that has rigorously tested clarity enhanced diamonds in their laboratories cites three causes for the filings to come out. · Exposure to Flame: The first thing that can undo the enhancement is open torch fire. Exposing the stone to fire for a prolonged period of time can cause the inside filling to fall out, reverting the stone back to its former clarity quality. A momentary touch of fire does not however have a lasting effect on the treatment. · Exposure to strongest Acids at Boiling Temperature: Dipping the stone in boiling acid is another thing that can cause the filling to come out of the stone. 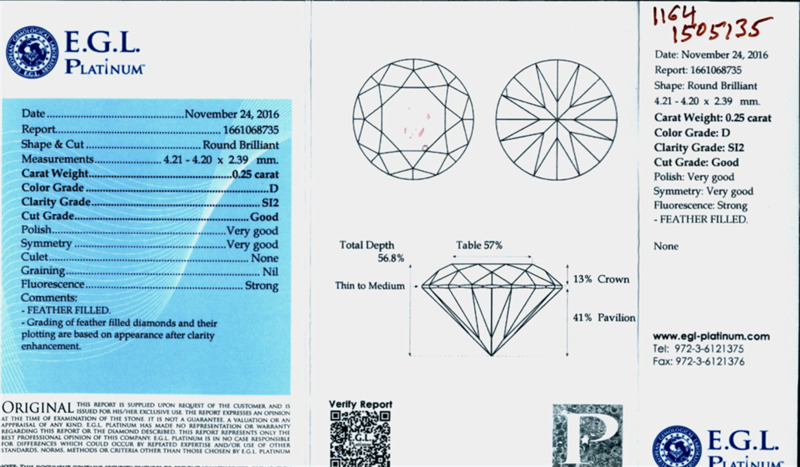 So, if you are wearing a clarity enhanced diamond, it’s best to avoid working with acid at high temperature while wearing it. · Re-cutting: Re-cutting is another thing that will undo the enhancement. 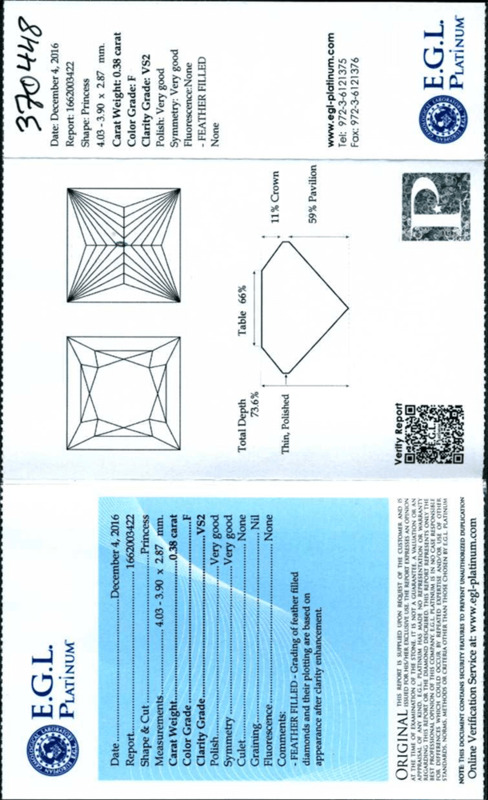 If you have a clarity enhanced diamond that you want recut into some other shape, my advice would be putting it through a cutting process once again and then re fill it with us. 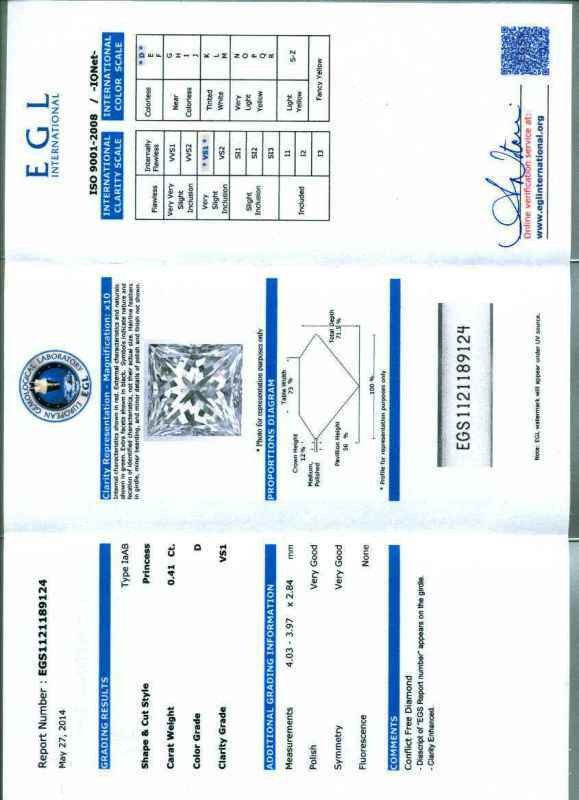 of the Clarity Enhancement process Mr. Zvi Yehuda.